Visit the respective division links below to learn more about each and view current events and updates. Largest division of the FLPD, responsible for hundreds of daily calls for service. Handles most initial criminal arrests and daily motor vehicle crashes throughout the Borough. Conducts criminal investigations, narcotics interdiction, surveillance details, juvenile investigations, and internal affairs. Responsible for maintaining orderly traffic flow through Borough. Handles traffic planning for roadway repair & construction, also conducts traffic surveys to monitor traffic patterns for improvement. Tasked with all community related programs, citizen & junior police academies, LEAD instruction, and community events & outreach. Oversees Traffic, Community Policing, Class 3 and Class 1 Officers, Communications personnel, and is responsible for maintaining the FLPD's Accreditation Standing. Responsible for providing Middle & Elementary School security. Handle courtroom security, special event functions, and weather related call outs. Answer tens of thousands of telephone calls yearly, and several thousand 9-1-1 calls yearly. Responsible for radio communications with FLPD Officers as well as Fire Dept. and Ambulance personnel. 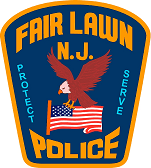 Maintain a filing system for all FLPD related reports & case related forms. Responsible for providing discovery of documents for Prosecution and Defense attorneys.